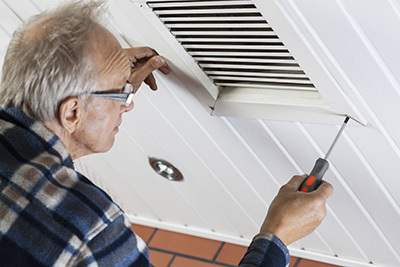 Read the answers to important air duct cleaning questions. Take advantage of the information and learn more about your system. Do not miss this dedicated FAQ page about air ducts. Check out the answers to some of the questions most often asked to our technicians. The information is detailed and easy to understand. Take advantage of it now and revisit the page for future updates. How can I protect dryer vents from getting dirty? You cannot really prevent lint from being accumulated inside the dryer vents, since it comes from the clothes. What you can do is two things, according to our professionals. The first one is cleaning the dyer vents once or twice every year. The second one is to install a cap over the external part of the dryer vent so the vent won't get very dirty from outside debris. What is the risk of a kitchen exhaust hood catching fire? The risk is the highest with appliances whose vents are not cleaned regularly. Grease gets built up inside and the hot air comes under greater pressure. The risk of the appliance catching fire due to electric short circuiting is much lower, especially with new units based on safer technology. Do I have to be home during an air duct cleaning? Like many other services, your presence is required. Of course, it can be any other adult you assign to be present as we work. What factors lower the efficiency of the condenser unit? The most common problem is having debris piled around the unit and blocking the release of the hot exhaust air. Having clearance of at least two feet around the unit and cleaning it regularly will help to prevent this issue. Another cause of inefficiency is having bent coils. They are fairly easy to spot. The problem is fixed with a technique called combing. Can a UV cleanser help to keep the air ducts clean for longer? This device is designed to eliminate mold spores and other microorganisms. It literally destroys them by emitting low-frequency UV light. It is considered to be effective for protecting the HVAC air ducts from mold and other live contaminants. However, it is not designed to keep dust and pollen away.